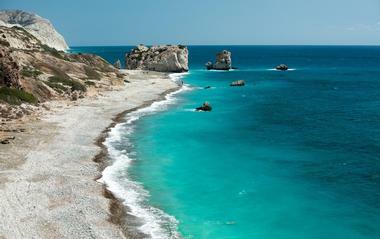 Honored in Greek legend as the birthplace of Aphrodite, Cyprus has a special charm that has attracted visitors for hundreds of years. The region is just as well known for its stunning beaches as it is for the fascinating history of its archaeological sites, making it perfect for nature lovers and history buffs alike. Visitors can explore ancient castles, marvel at the beauty of waterfalls, or enjoy a day at one of the zoos or aquariums. There's no doubt that Cyprus is an ideal vacation destination no matter what the time of year – the only question is what you'll do when you get there. According to Greek mythology, the Adonis Baths was a favorite place of the god Adonis and the goddess Aphrodite, and where they had many of their children. Today, visitors to the site can swim in the pools below the waterfalls, use the hiking trails, visit the small museum and photo gallery, or indulge in some mud therapy. There are also several statues here for visitors to admire, including a 10-meter statue of Aphrodite. The baths are accessible via either the Tala or the Akoursos road; visitors coming by bicycle or by motorbike are advised to use the Tala road. The Church of Saint Lazarus in Larnaka City sits in its own square in the center of town on top of the tomb of Saint Lazarus of Bethany. Built by the Byzantine Emperor Leo VI in the late 9th century, the building is an excellent example of Byzantine architecture and is conveniently located right next to the Byzantine Museum. The church is made primarily of stone, but the gold-covered iconostasis serves as an excellent example of baroque woodcarving. There is no admission fee to enter the church. Dating back to the early 4th century, the Stavrovouni Monastery sits 750 meters above sea level on top of the hill of Stavrovouni. The monastery was founded by St. Helena, the mother of Emperor Constantine the Great, who left a piece of the Holy Cross in the monastery. Today, this is one of the only places in the world where such a relic can be seen. Due to the strict rules of the monks who inhabit the monastery, women are not permitted to enter and men must be appropriately dressed. Photos and videos are prohibited, and there is no entrance fee. Located near the Paphos harbor, the Paphos Mosaics are some of the most beautiful and well-preserved mosaic floors in the world. The mosaics date from the 3rd to the 5th century A.D., covering the Hellenistic period to the Byzantine period. 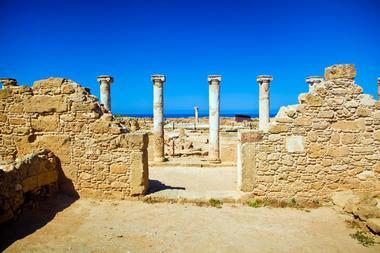 Paphos itself is a 291-hectare property composed of numerous villas, theaters, palaces, tombs, and other buildings, but the mosaics can be seen in the villas of Dionysus, Theseus, Aion, Orpheus, and the four seasons. 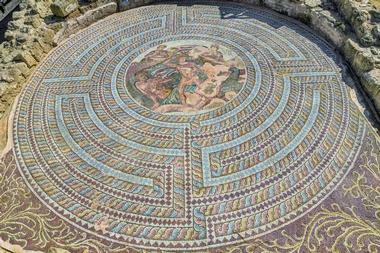 The Villa of Dionysus is especially impressive, with mosaics being found in 14 rooms spread out over almost 5,985 square feet. Also known as Cavo Greco, Cape Greco is a protected national forest park that offers beautiful nature trails, stunning views of the sea, and the chance to explore exciting sea caves. There are nine nature trails that wind through juniper forests and along sea cliffs; these range in length from 1.5 km to 8.5 km. Many different sea caves can be found along the coast, where they offer the opportunity to cliff-jump, snorkel, swim, or even to walk at low tide. Other highlights of the park include the charming white-washed church of Agioi Anargyroi, a peaceful picnic area, and two stunning stone arches. 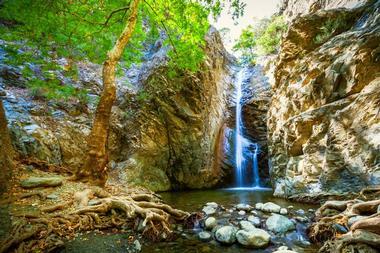 Falling from a height of 15 meters, the Millomeris Waterfalls are some of the highest in Cyprus. 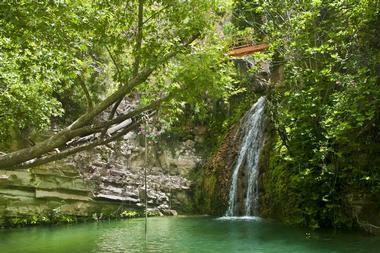 Tucked away in a forest ravine not far from the village of Pano Platres, the site is a peaceful oasis perfect for visitors looking to immerse themselves in a bit of natural beauty. The falls are accessible by car and a small parking lot is available, but visitors can also get here by enjoying a leisurely 1 km stroll from the Platres Church. There is no admission fee to visit the falls, and proper footwear is advised as the area around the falls is quite steep and rocky. 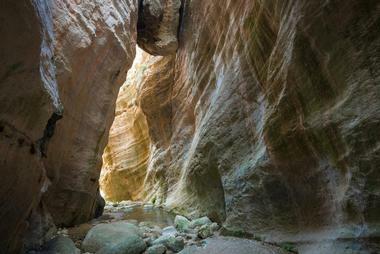 With limestone walls up to 30 meters in height, Avakas Gorge is a 3-km-long natural wonder located on the Akamas Peninsula. A circular walking trail with a length of 7 km runs through the gorge, giving visitors the chance to admire the magnificent rock formations as well as the diverse flora and fauna. Visitors should note that the hike is quite difficult, particularly during the narrower parts of the gorge, and that the rocks can be very slippery when wet. Caution is advised; the walk is best done in proper footwear, and hikers should be sure to bring plenty of water. 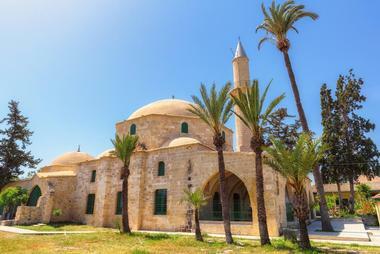 Sometimes called the Mosque of Umm Haram, the Hala Sultan Tekke is a historic Muslim complex that sits on the shores of the Larnaca Salt Lake. The mosque was constructed in 648 A.D. on the spot where Prophet Mohammad's relative Umm Haram died during an Arab raid. Today, the mosque is one of the most important places of worship for people of the Muslim faith, although it is open to everyone. There is no admission fee to view the site. Perched at a height of 1,318 meters in the Troodos Mountains, the Kykkos Monastery is one of the most opulent and easily recognizable monasteries in Cyprus. Although it was first established in the 11th century, most of its buildings are quite new because the originals burned down. The monastery is dedicated to the Virgin Mary, and it is known for being home to one of three icons attributed to Luke the Evangelist. There is also a museum on the grounds, and while entrance to the monastery is free of charge, anyone wishing to visit the museum will have to pay a small fee. Amathus dates all the way back to 1100 B.C., and it was one of the ancient royal cities of Cyprus until approximately 300 A.D. The city is now a UNESCO World Heritage Site, and its impressive ruins are located on the southern coast of Cyprus only 11 km away from the Limassol city center. The site is still undergoing excavation, but there are many different areas open to visitors, including the market, the public baths, and the fountain complex. 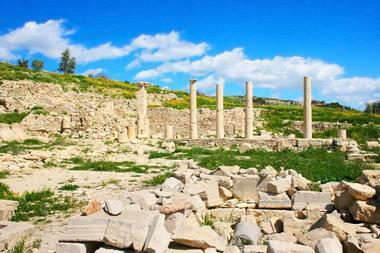 There is a small admission fee, and visitors are advised to allow at least 2 hours to explore the ruins thoroughly. 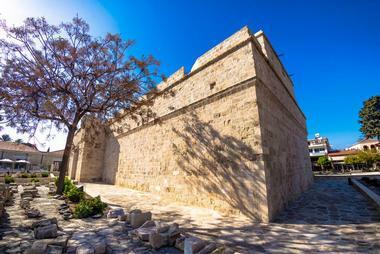 Founded in 1948, the Archaeological Museum in Limassol was originally located in the Limassol Castle but has since been moved to a new building 2 km away. 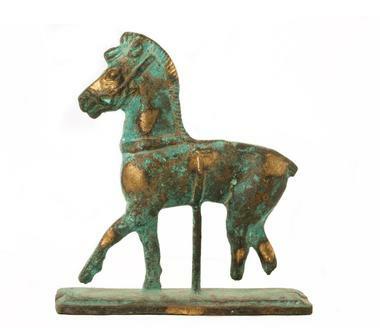 The museum houses a large collection of artifacts that were found on Cyprus and that showcase the development of civilization from the neolithic until the end of the late Roman period. There are three main exhibits: One of pottery, one of coins and other metal objects, and one of sculptures, tombstones, and various other marble and stone artifacts. 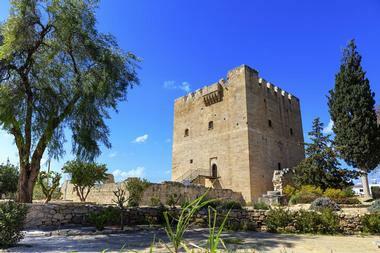 Situated right in the heart of the historical city, Limassol Castle is believed to have been originally built in 1193. However, the current structure was rebuilt in the 19th century under the rule of the Turks. Highlights of the castle include the 2-m-thick walls and the special ground floor prison cells, which were in active use until 1950. 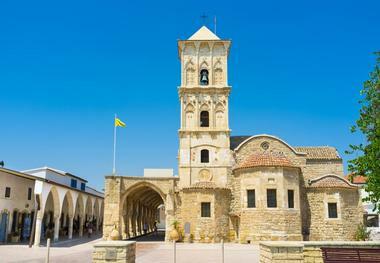 However, the building is also home to the Cyprus Medieval Museum, which boasts displays following the evolution of Cyprus between the 3rd century and the 18th century. 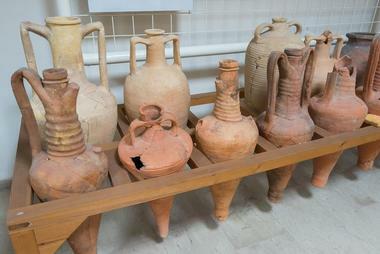 A wide range of artifacts are displayed, including medieval pottery, coins, and various weapons. 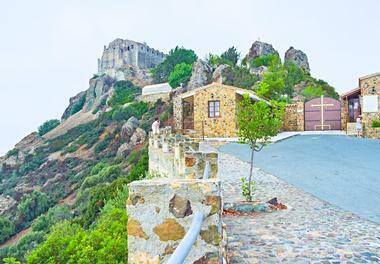 Located on the outskirts of Kolossi Village, Kolossi Castle is a former Crusader stronghold that held an important strategic position during the Middle Ages. The fortress is made of stone, and its walls are 1.25 meters thick. The castle consists of a three-story keep that is entered by crossing over a suspension bridge, and visitors can explore the storage room, the dining room, and two rooms believed to have been used for lodging. There is large room that was used to make sugar from local sugarcane, while various tools used for sieging purposes can be found on the roof. As the largest zoo in Cyprus, the Limassol Zoo is home to approximately 300 animals and birds including tigers, panthers, zebras, ostriches, and falcons. The animals are divided into sections according to their species. There is also a natural history museum, in which visitors can see many taxidermized animals, birds, and fish. The zoo is an excellent destination for families; it regularly hosts special events for children, and it offers a designated children's play area with toys and a petting zoo. 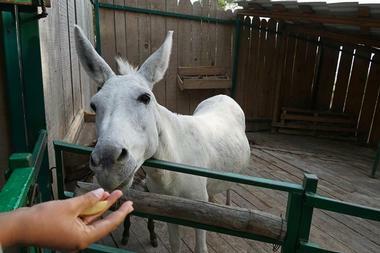 On Sundays, visitors can take a train ride through the park and have their photo taken with the zoo's ponies. 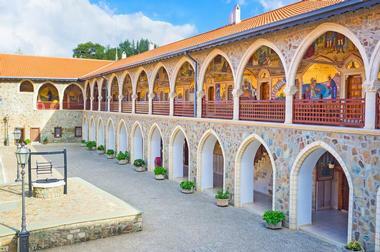 Founded in 1882, the Cyprus Museum is the oldest archaeological museum on the island. It houses the largest collection of Cypriot antiquities to be found anywhere in the world, and it's worth noting that only artifacts that have been found on Cyprus are displayed here. Exhibits are spread out over 14 rooms arranged chronologically and thematically, beginning with a room dedicated to objects dating back to the neolithic and ending with a room showcasing clay figurines that date from the Early Bronze Age through the Roman period. 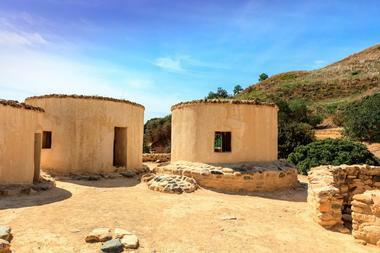 Sitting at the foot of the Troodos mountains, Choirokoitia is a former Neolithic settlement that is now one of the most important prehistoric sites in the Mediterranean. Occupied between the 7th and the 4th millennium B.C., the site was discovered in 1934 and has been on the UNESCO World Cultural Heritage List since 1998. Remains from each phase of the Neolithic settlement can be seen here. There are also five reconstructed dwellings near the settlement; these were carefully made using the same techniques and materials used in Neolithic times, and have been outfitted with replicas of household furnishings found in the original dwellings. 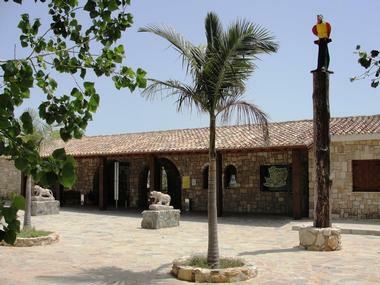 Spanning almost 25 acres of land, Pafos Zoo was the first zoo to be established in Cyprus. It is home to more than 1,200 animals belonging to 210 different species, many of which are threatened. The zoo started out as a bird park, but today it is home to all sorts of mammals and reptiles as well, including giraffes, giant turtles, and one of the largest collections of venomous snakes in Europe. The parrot and owl shows held in the amphitheater are also quite popular; these are offered three times a day throughout the year. The oldest private museum on Cyprus, the Pierides Museum is dedicated to protecting and preserving the civilization of Ancient Greece. 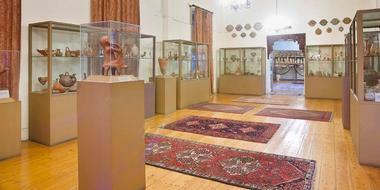 The museum is found inside the ancestral Pierides family home, a colonial-style building that was constructed in 1815. The comprehensive collection of objects has been carefully gathered by the Pierides family, and comprises approximately 2,500 Cypriot antiquities. The exhibits span thousands of years of the island's history, with the oldest artifacts on display dating all the way back to 4000 B.C. and the most recent belonging to the 15th century A.D.
Home to more than 1,000 aquatic species, Protaras Ocean Aquarium is a great destination for the whole family. Visitors can take a journey through the water systems of the world, encountering species like eels, piranhas, and turtles. Other attractions include the crocodile swamps, the collection of exotic birds, and the penguin house, which is home to the endangered Humboldt penguin. The zoo also boasts just over 3 acres of tropical gardens for visitors to stroll through; these are home to tropical plants, turtles, and crocodiles. Free parking is available, and an on-site snack shack sells a variety of refreshments. 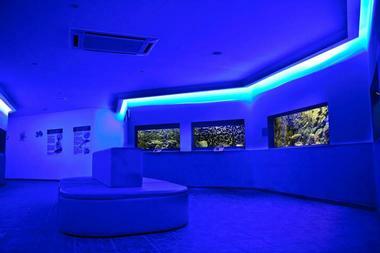 Open since 2005, the Thalassa Municipal Museum is dedicated to exhibits exploring the marine history of Cyprus. Many of the displays are interactive, and they span a vast period of time, from the paleontological era until the modern day. The museum is made up of three stories; the basement is home to various fossils and shells while the other two stories contain pottery and other antique objects of interest. Of particular interest is the life-sized replica of a famous 4th-century Greek trading ship, which can be viewed from a number of different angles, including a bird’s-eye view. Also known as Aphrodite's Rock, Petra tou Romiou is a popular tourist destination because of its importance in Greek mythology as well as its beauty. 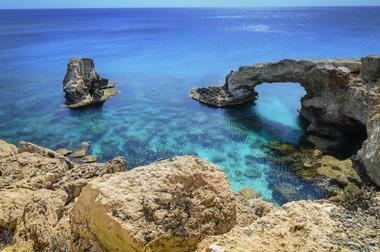 According to ancient Greek legend, this was the place where the goddess Aphrodite was born out of the seafoam. The pebble beach here is attractive in its own right, but the real attraction is the giant rock formation that protrudes from the waves. The sea is typically too rough to swim in and climbing the rock is not permitted, but the area is well worth a visit simply to admire the natural beauty. Included on the UNESCO World Heritage List since 1980, the Kato Paphos Archaeological Park encompasses most of an ancient city that was the capital of Cyprus between the 2nd century B.C. and the 4th century A.D. Most of the ruins date back to the Roman period, but there are also monuments that span the history of the area from the prehistoric era to the Middle Ages. Highlights include four Roman villas, a theater, the Forty Columns Castle, and the ruins of an early Christian basilica. The park is open every day of the year and there is a small admission fee. 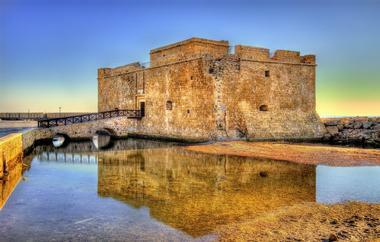 Located right in the Paphos harbor and connected to the land by an arched bridge, the Medieval Castle of Paphos was originally a Byzantine fort constructed to defend the harbor. The structure has been destroyed and rebuilt several times throughout the years, but the current building was restored by the Ottomans. Many cultural events are held in the square in front of the castle throughout the year, including an opera staged every September, in which the castle usually acts as part of the backdrop. The castle is open to visitors throughout the year, and there is a small admission fee. Only 2 km away from Paphos Harbor, the Tombs of the Kings is a large archaeological site that is home to an impressive number of underground tombs. Unlike the name suggests, the site served as a burial ground for high government officials rather than for kings. However, the grandeur of the tombs is what gave the site its name; some feature Doric columns and beautiful frescoed walls. 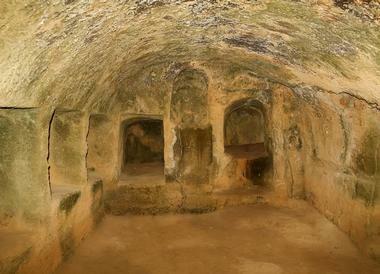 The tombs are cut right into the rock, and date back to the 4th century B.C. The site is open to visitors all year round, and a small entrance fee is charged. 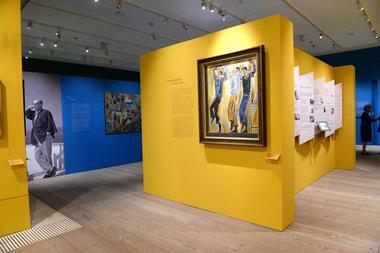 Open since 2014, the Leventis Gallery is home to more than 800 paintings done by artists from Cyprus and from other parts of Greece and Europe. There are three collections for visitors to admire: the Greek collection, the Paris collection, and the Cyprus collection. 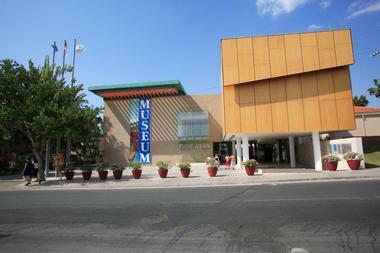 In addition to these permanent exhibits, a different temporary exhibit is held each month on a featured artist. Audio guides are available for a small fee.